As every business owner or manager knows, one of the most crucial factors that can determine how a business will grow and succeed will be the amount of working capital it has. You need working capital to function. You use it to pay for your overhead expenses, payroll, and purchase products or raw materials for your inventory. This is why some businesses apply for a working capital loan. But what some may not realize is that a working capital loan will generally not affect their working capital. Part of the confusion lies in the fact that some business owners do not really understand what “working capital” is. It’s not just the cash you have that allows you to pay for all your operational expenses. Technically speaking, working capital is what you have when you take all your current assets and then you take away all your current liabilities. The key word here is “current”. This means the asset is something that you can convert to cash easily (as in within a year or less). Your current liabilities are then what you need to pay for within a year. So when you calculate your working capital, you try to determine how much cash your business has when you have to pay supplier invoices when they are due. You have to determine just how long you have and figure out how long it takes for your inventory to turn into accounts receivables and then into cash. You do the same with your supplier’s invoices and for your immediate needs, such as overhead and payroll. If your cash isn’t sufficient, then you’ll need a working capital loan to help you pay for what you need. So how do you get some working capital? There are several methods. One traditional way is to get additional funding from investors. For example, you can get some more cash in exchange for a percentage of your company. You and your investor may agree that your business may be worth exactly a million dollars, so the investor can give you $100,000 for 10% of your business. You can also get a loan from a bank and other lenders. For example, you can get a set amount of money, or you can get a line of credit much like a credit card. With a line of credit, you have a maximum amount you can borrow, but you can borrow only what you need so you don’t have to pay interest in borrowed money you won’t need. With a working capital loan, you have more cash in hand, but you also get more liability because you still have to pay for that loan. So this is why a working capital loan will generally not affect working capital. You do have more cash available to pay for your working capital expenses, but your assets and your liabilities remain the same. You increase your assets, but your liabilities increase by the same amount as well. On the face of it, the cost of factoring or purchase order financing can be rather high, compared to the cost of a typical business loan from a bank. But the need for working capital for construction subcontractors is oftentimes urgent, and bank loans take a long time to process. That means alternative sources of funding must be sought. You won’t be paid for the job until it is completed. Right away, you know you need the working capital in order to take on the job. Without the capital, you absolutely won’t be able to fulfill the contract. The raw materials you need for the job are expensive. Steel, iron, glass, stone, cement—all these things aren’t cheap. You may take advantage of discounts by buying in bulk or by paying on COD terms. But that means you need to have access to your working capital. You need to rent heavy equipment. As a subcontractor, you’ll rarely own heavy equipment outright. Usually, you don’t really own equipment like concrete mixers and cranes. That means you have to rent them, and again the rent is often required immediately. You have to pay for labor. This is one expense that has to be met on time. You really can’t afford to be late on this particular expense. The average hourly rate for workers is $16.84 per hour, but some laborers may cost more than $28 per hour. Add the number of hours, and then multiply that by the number of days, and then multiply that by the number of workers you employ. The final tally can be exorbitant, and you have to pay regularly. You may have to do extra work. This is a common problem in construction. Often a client will ask for changes and extra work, and expect minimal or even no additional cost. It can be infuriating for subcontractors, but what can you do? This is simply human nature at work. Clients are finicky, and they change their minds often. There’s nothing you can do about that. Clients may go bankrupt. If you think you have money problems, you’re not alone. Unfortunately, lots of people have money problems of their own. The thing is, if you have money problems then it doesn’t concern the client. But if the client has money problems, then it concerns you because you’ll have trouble getting paid. What you need to do as a subcontractor is to add all these expenses along with the cost of the working capital for construction sub-contractors. When you subtract all your expenses from the amount of money you receive as payment, what’s left for all your hard work? In most cases, the expense of the financing is worth it, especially when you consider that completing an order can generate more contracts in the future. In the end, lacking the working capital may be disastrous, and only the infusion of quick capital can save your business. Like any other business, distributors face cash flow problems on a regular basis. This is particularly true for small and start-up companies who have to supply goods to their clients but need to wait for weeks and even months before they collect payments. Cash flow management is particularly important for these entrepreneurs as they also have to ensure that they are liquid enough to pay for their supplies, workers, office rent, utilities and other operating expenses. But how can a distribution firm settle these obligations when it has to wait for months before its clients pay up? One way that a distribution firm can solve its cash flow problems is by factoring its invoices. Distributor invoice factoring is a reliable way for enterprises to raise money without falling into debt. In this set-up, a distributor presents its invoices to a third party lender who will pay in advance while holding on to the invoices until the clients pay back. The amount can be as much as 80% of the invoice. Factoring of invoices presents several benefits to firms in the distribution business. One is the lack of collateral requirements. Firms applying for factoring line won’t have to present real property or vehicle as collateral unlike in a traditional bank loan. Another advantage is the swift processing of the factoring application, which could take a few days or even a couple of hours. Another route that distributors can go to is by applying for a purchase order (PO) financing. This facility is ideal for small businesses that have just landed a big contract but lack the money to complete the transaction. In PO financing, a distributor also presents the purchase order of its clients to a lender. In turn, the factoring company will advance the amount indicated in the invoice and remit the remaining amount once the client pays up. In purchase order financing, the distributor relies on the creditworthiness of its client to be able to access to quick cash for its operational expenses. Both factoring and PO financing provide a lot of benefits to distribution entities especially those that are just starting to grow their businesses. The first and perhaps most obvious advantage of these financing facilities is the money that enterprises can quickly get. 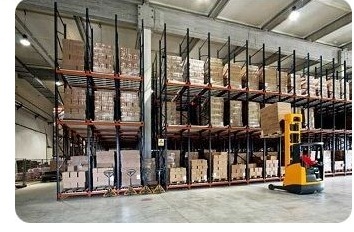 Access to fast cash is essential for any distributor who has numerous bills to pay. The second advantage is the lack of collateral requirements. Businessmen who are in the distribution sector won’t have to put up their houses or vehicles as collateral when applying for both facilities. Instead, they are only required to show the invoice or purchase order from their clients. Distributors that need immediate funding for their day-to-day operations can apply for a purchase order financing or invoice factoring. While there are numerous financial companies that offer this type of financing, a wise entrepreneur should approach credible entities like Neebo Capital. We can assure you that your application for a purchase order financing or invoice factoring can be processed in a day or two. We also offer the best rates and flexibility to increase your credit line as needed. We Offer Working Capital Lines $25,000 – $500,000 Across U.S. & Canada! Knowing the amount of working capital that you need to run a business is very important. At any given point in the life of a business, working capital is perhaps the most important aspect that you need to really pay attention to. This is because your working capital is the source of all your operating expenses, and if you don’t have enough revolving capital, your business won’t be able to function the way you need it to. Relying on future revenues wouldn’t cut it, and this is why it’s important to really have your working capital figured out. The reality though is that there are times when having sufficient Canada working capital becomes a challenge. Expanding your working capital sometimes becomes a necessity, and you’ll need to be clear about the options that you have in case you really need additional cash flow. The good news is that while the requirements of traditional financing methods have become more stringent, there are now other ways to apply for financing. You don’t have to be limited to the usual loans offered by traditional financial institutions like banks, and you don’t have to worry if the credit line given to you is not enough to cover what you need. These are just some of the many options available for those who want to expand their working capital. There are other options that fall under Factoring, Asset-based loans, Trade Finance, and other lending methods. The amount you can borrow will depend on the arrangement with the lender and what your asset portfolio currently looks like. When you need to expand your working capital and you eventually choose one of these financing methods above, you just have to make sure that you know the amount of capital you need. Depending on what type of company you have and what industry you operate in, working capital needs could differ. Also, if you operate globally, there are additional international requirements you need to think about and consider. For instance, you may have a customer overseas that just made a bulk order. To deliver that order you would need additional working capital not only for the raw materials and manufacturing but also for shipping those goods and making sure they reach your customer across geographical borders. To operate your business efficiently, you will then need to really assess how much Canada working capital you need at any given point. If your working capital is about to run out or if you foresee that a certain season will drain it, then you’ll need to make advanced arrangements or plans for working capital financing.